09-06-2018 12:00:00 09-06-2018 12:00:00 America/New_York Positively 8th Street Festival | 1:00 PM Positively 8th Street Festival is a FREE family friendly celebration of the rich cultural history, businesses and institutions of 8th Street and features live music, food, pop-up parks, arts, and family fun. Kick back and relax on two massive real grass pop-up parks, while listening to live music from Village favorites including Richard Barone & Friends, Coyote & Crow, The Angry Kickin' Feet, The Bailsmen and many more! Watch the colorful sights and sounds of the Village pass by while dining outside as Eighth Street restaurants throw open their doors. Enjoy over a dozen Eighth Street takeout options at the seating areas dotted along the block. Then, visit the many Eighth Street lifestyle retailers and check out special Positively 8th Street in-store activities and offers. For the creative minds of all ages there will be arts and crafts workshops, create collages, learn life drawing with the New York Studio School of Drawing, Painting and Sculpture, build model cities, and even create your very own Washington Square Arch mobile with Scribble Art Workshop! If you would rather be on the receiving end of creativity, there will be face painting and caricature drawing. Once finished with creating, get competitive with classic outdoor games and activities. Fitness buffs can get a quick fix with the NYC Parks mobile fitness center or high intensity dance-cardio classes with 305 Fitness. Not sure you are quite ready for that? Then visit the Mount Sinai/Beth Israel Medical Center for outdoor health screenings and blood pressure checks. 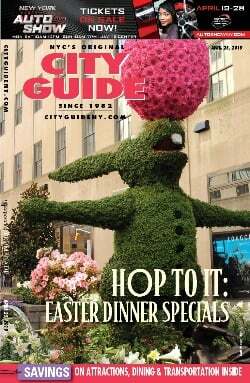 http://www.cityguideny.com/eventinfo.cfm?id=310136 Village Alliance Inc. Village Alliance Inc. Positively 8th Street Festival is a FREE family friendly celebration of the rich cultural history, businesses and institutions of 8th Street and features live music, food, pop-up parks, arts, and family fun. Kick back and relax on two massive real grass pop-up parks, while listening to live music from Village favorites including Richard Barone & Friends, Coyote & Crow, The Angry Kickin' Feet, The Bailsmen and many more! Watch the colorful sights and sounds of the Village pass by while dining outside as Eighth Street restaurants throw open their doors. Enjoy over a dozen Eighth Street takeout options at the seating areas dotted along the block. Then, visit the many Eighth Street lifestyle retailers and check out special Positively 8th Street in-store activities and offers. For the creative minds of all ages there will be arts and crafts workshops, create collages, learn life drawing with the New York Studio School of Drawing, Painting and Sculpture, build model cities, and even create your very own Washington Square Arch mobile with Scribble Art Workshop! If you would rather be on the receiving end of creativity, there will be face painting and caricature drawing. Once finished with creating, get competitive with classic outdoor games and activities. Fitness buffs can get a quick fix with the NYC Parks mobile fitness center or high intensity dance-cardio classes with 305 Fitness. Not sure you are quite ready for that? Then visit the Mount Sinai/Beth Israel Medical Center for outdoor health screenings and blood pressure checks.